LaRon Louis James, to the public known by the stage name of Juelz Santana, is a famous American rap artist, musician, record producer, as well as an actor. Juelz Santana is perhaps best known as a member of “The Diplomats”, a hip hop group founded in 1997. Santana joined Cam’ron, Jim Jones and Freekey Zekey in 1999 and has been a part of the group ever since. Several years later, “The Diplomats” signed a record deal with “Def Jam Recordings” and “Roc-A-Fella Records” founded by Jay-Z, and began working on their debut album. “Diplomatic Immunity” came out in 2003 and peaked at #8 on the Billboard 200 chart. During its first week it sold 92,000 copies and eventually received a Gold certification from the RIAA. However, due to the conflict between Cam’ron and Jay-Z, the group was forced to leave both labels and signed with Koch Records instead. “The Diplomats” then came out with their second studio work “Diplomatic Immunity 2”, yet they soon went on a hiatus, the main reason for which was a disagreement between the members. “The Diplomats” reunited in 2010 and are currently working on new projects. A famous rap artist and a member of “The Diplomats”, how rich is Juelz Santana? According to sources, Juelz Santana’s net worth is estimated to be $12 million. Undoubtedly, the majority of Juelz Santana’s net worth and wealth comes from his rapping career. 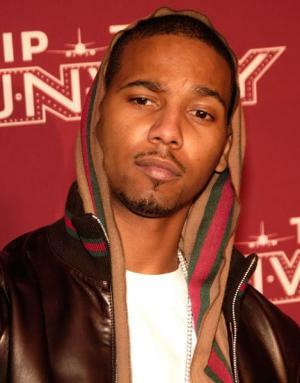 Juelz Santana was born in 1982, in Harlem, New York. Santana’s passion for rapping began when he was five years old, and he actually started rapping at that age. When he was twelve, Santana joined “Draft Pick” and was even signed to the “Priority Record” label. Some time later, he was featured on one of Cam’ron’s songs and eventually joined “The Diplomats”. Even though Santana was largely involved in the group’s activities, he was also working on his solo projects and in 2003 came out with his debut studio album entitled “From Me to U”. The album proved to be a commercial success as it peaked at #8 on the Billboard 200 chart and sold more than 74 000 copies during its first week. Following the success of his debut album, Juelz Santana released his second studio album under the name of “What the Game’s Been Missing!”. Santana’s second solo attempt did as well, if not better than his previous work. “What the Game’s Been Missing!” topped the charts and peaked at #1 on the Top Rap Albums chart, and landed at #9 on the Billboard 200. The album that features guest appearances from Lil Wayne, Cam’ron, Hell Rell and Sizzla has sold more than 655,000 copies up to date. Around the same time, two of the members of “The Diplomats”, namely Cam’ron and Jim Jones, resolved their disagreements, thus making it possible for the group to work together again. In the meantime, Santana was working on his third studio album “Born to Lose, Built to Win”, which was released in 2014. A famous rap artist and a member of “The Diplomats”, Juelz Santana has a net worth of $12 million. Children Bella Monroe James, Juelz Santana James, LaRon Louis James, Jr.
2 He paid for and directed his video for "Mic Check"
4 Is the youngest member in The Diplomats. Gun 2010 performer: "Beamer Benz or Bentley"
The Fast and the Furious: Tokyo Drift 2006 performer: "There It Go The Whistle Song" / writer: "There It Go The Whistle Song"